Our latest commission is drawing to an end. Burrows Lea Forge Ltd has been working on the conservation and restoration of the ‘Tijou’ gates at Petworth House since December 2012. The picture above shows the gates as they were in 1900. Since mid 20th century the gates fell in to a state of disrepair. Despite efforts by the National Trust to conserve elements in the mid 90’s it was only a temporary fix. In 2012 funding was finally secured for their restoration. This job is a massive undertaking by Burrows Lea Forge Ltd and the largest in the company’s 22 years of trading. At the end of August 2013 the work will be complete and the gates are renovated to their former glory and very impressive they are too. All the work has been carried out by qualified, time served Blacksmiths using traditional skills, materials and techniques. Sound conservation practice has been employed throughout. 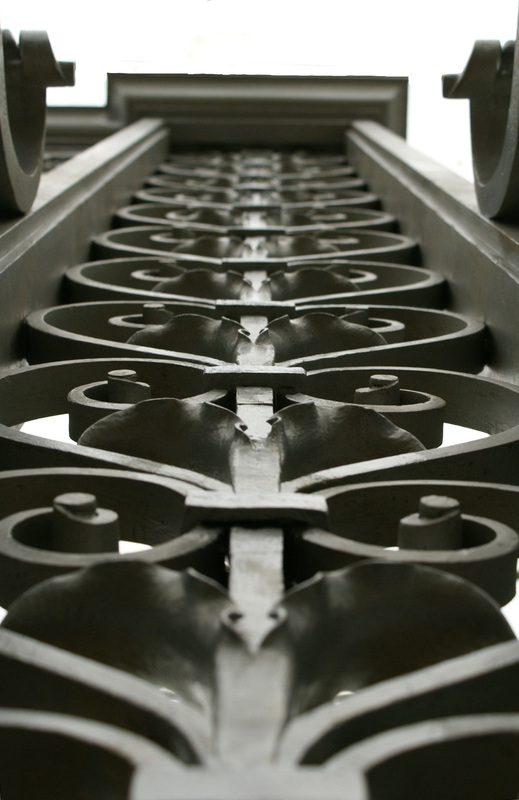 Pingback: ‘Tijou’ Gates +1 year | Restoration of 'Tijou' Gates at Petworth House. Next Bread and Butter, Nuts and Bolts.